The hearing of Bulc was seen as vital for the entire Commission, led by Jean-Claude Juncker and to be voted in plenary on Wednesday (22 October). Now it is safe to predict that the Juncker Commission would be able to take up its duties from 1 November. Violeta Bulc was chosen by Slovenian Prime Minister Miro Cerar to replace Alenka Bratušek after 112 MEPs considered her unfit for the job. 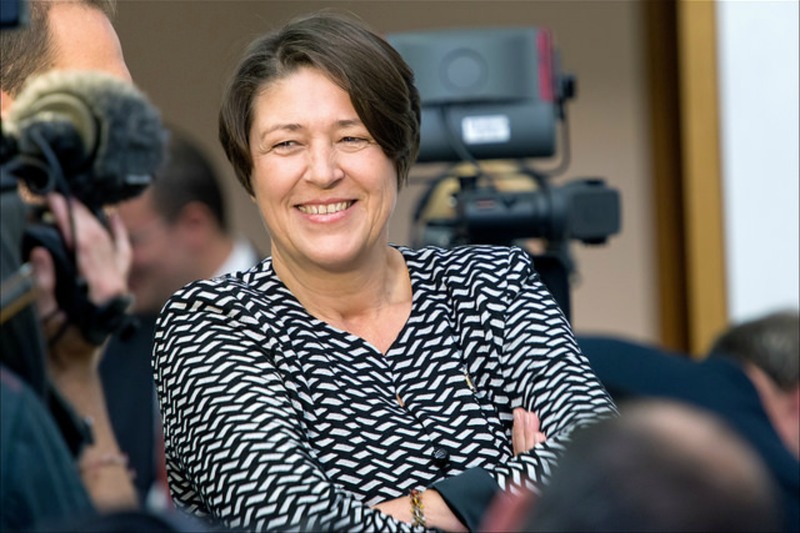 Bulc, a 50-year-old telecoms entrepreneur who joined the new government in Ljubljana only last month, has attracted attention in Brussels with her colourful list of interests, ranging from her youthful prowess in basketball, and a black belt in tae kwon do, to her training as a shaman, and promotion of fire-walking in her consultancy business. At the end of the hearing, Bulc was congratulated both by the centre-left S&D and the centre-right EPP. She then humorously told MEPs, “You learned I walk on fire. There were some moments that I thought I would get burnt, but that did not happen”. Unlike Bratušek who spoke Slovenian during most of her hearing, Bulc expressed herself in fluent English. She didn’t appear to be stressed, and some on Twitter compared her hearing to a fireside chat. Although she had only four days to prepare for the confirmation hearing and had no background in the transport field which was assigned to her, Bulc confirmed what Juncker said about her when he first met her on 15 October, namely that she is a fast learner. She also showed off a personality which is certainly atypical and emotional. On different occasions, she said that she loves nature, loves to fly, loves the Greek islands. She also said several times that solutions to complicated problems could be found “once we put around the table people with good will”. In a marked difference to other Commissioners-designate who said “if I am confirmed”, Bulc said “if the Commission is approved on Wednesday”. The confirmation of Bulc can also be seen as a personal victory of Guy Verhofstadt, the liberal ALDE leader, who took the risk of supporting her in spite of suggestions that Slovenia should nominate candidates with a more suitable background. The hearing of Maroš Šef?ovi?, Vice-President designate for the Energy Union, was held simultaneously. Unsurprisingly, Šef?ovi?, who holds the post of Vice President in the present Commission and who is a former diplomat, sailed safely through his second grilling. He was already confirmed as Commissioner for transport and space, but Bratušek’s failure required Juncker to make a minor reshuffle of the portfolios. The centre-right European peoples’ Party (EPP) group published a statement, praising the performance of Bulc, but telling her she still needs to learn about her portfolio. “The EPP Group considers Commissioner-Designate Violeta Bulc as able to do the job of EU Commissioner, but she will need to extend her 4-day knowledge of EU transport policy as soon as possible”, the statement reads. "Bulc gave a sound presentation tonight at her hearing in the European Parliament," stated Wim van de Camp, who coordinates EPP Group MEPS in the Transport Committee in the European Parliament. “She seems to be an intelligent woman who already expressed some strong opinions: no social dumping and more investment. I expect her to learn the details of the transport dossiers quickly if confirmed," stated Van de Camp. The next step in the procedure was the hearings of the commissioners in the European Parliament. During the two weeks of hearings between 29 September and 7 October, the 27 commissioners were interviewed by MEPs from relevant parliamentary commissions. All except Slovenia’s Alenka Bratušek were accepted for the post of Commissioners, and Hungary’s Tibor Navracsics has been accepted as Commissioner, but not for the assigned portfolio, which includes citizenship. 1 November: Juncker commission takes up its duties. She was kind of ok. I still have huge doubts as to her ability to organise and implement policy. She does need to learn a lot more about the subject area, but she did have only a few days. She also needs not to sound too enthusiastic about saying “yes” to everything. Let’s get this Commission going at last. Well I certainly had my doubts, but now she’s made it, good on her.